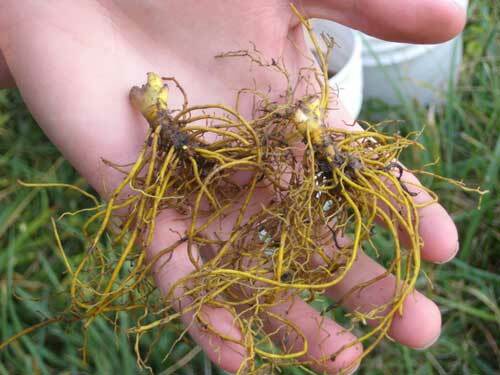 In herbal medicine we use the roots of Golden Seal, a small, long-lived and slow-growing plant that thrives in shady woodlands with rich soil in the Northern parts of the United States. 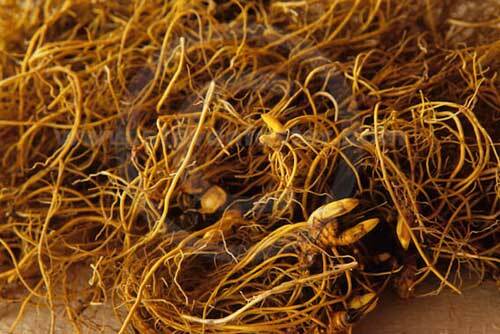 The roots are bright yellow, and the taste of Golden Seal is extremely penetrating. 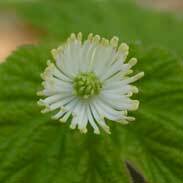 Golden Seal was widely used by the Native Americans as a natural antibiotic and disinfectant. 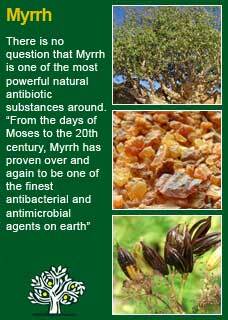 It was much used as an eyewash in particular and was known by the common names of 'Eye-root' and 'Eye-balm'. The root was boiled in water and the resulting tea applied as a wash for skin diseases (which use was passed on to the colonists). 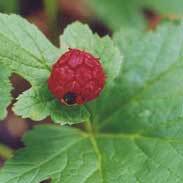 The Cherokee Indians pounded the rootstock together with bear fat and smeared it on as an insect repellent. After the American civil war Golden Seal became extremely popular as a general tonic for health and longevity, its price nearly equalled the other most prized herb of the time 'Ginseng' and it was collected to the point of near extinction. The Eclectic physicians especially valued it for digestive disorders saying 'as a remedy for various gastric disorders it takes the leading place'. Jethro Kloss in his book 'Back to Eden' is especially fond of Golden Seal saying it is 'one of the most wonderful remedies in the entire herb kingdom'. 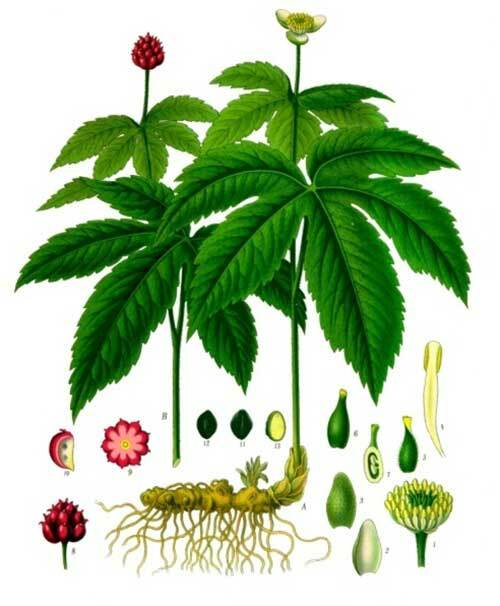 The British Herbal Pharmacopoeia (BHP) describes Golden Seal's actions as stimulant to involuntary muscle, stomachic, oxytocic, antihaemorrhagic, laxative and says it is indicated for digestive disorders, gastritis, peptic ulceration, colitis, anorexia, upper respiratory catarrh, menorrhagia, post-partum haemorrhage, dysmenorrhoea and specifically indicated for atonic dyspepsia with hepatic symptoms. The BHP suggests a dose of 0.5-1 gms of the extract in 60% ethanol. Golden Seal should not be taken whilst breastfeeding (the Berberine alkaloid will pass into the milk) and nor should it be used during pregnancy although it may help with stimulating labour at the end. Generally this is not a herb to use for children and definitely not for infants. 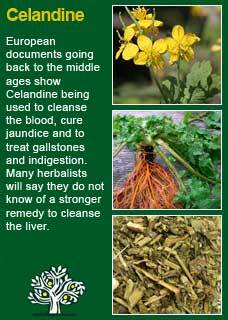 The elderly can do well with Golden Seal but only moderate doses will be needed. It may be best avoided by people with high blood pressure though this is really only a theoretical precaution and the blood pressure may simply need some regular monitoring to use it safely. I have not personally seen any issues in any of my own patients with high blood pressure using Golden Seal and, whilst I would want them to be self-monitoring or would check them myself, I would not hesitate to use it if it was indicated. 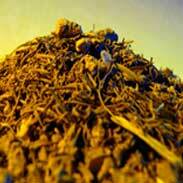 Golden Seal is a magnificent herb to work with; it is very pricey but it's as potent as it is pungent! In our clinic we only import certified cultivated, organic Golden Seal root to make into tinctures or use in the raw dried form. I love Golden Seal and use a great deal of it in my work, especially since we have been able to obtain organically cultivated dry material and so can economically and sustainably make our own tinctures from it. If you are learning herbal medicine or have your own personal reasons to use this herb, then be sure to carefully read the snippets from the great Eclectic writers quoted in the section above on 'how has it been used'. These are only excerpts, each of those authors wrote pages more about it because they loved it too, and wrote from their experience in using it for many people with diverse health problems to consistently good effect. This line from Lyle 'Golden Seal is the king of tonics to the mucous membranes gives a precise indication to where it can be of profound benefit. Many people have chronic conditions in their nose, sinuses, ears, throat or digestive system where an excess of unhealthy mucus is causing ill-health and in such cases it can be seen that there are healing properties within the Golden Seal that can help to cleanse, bind and heal these damaged, delicate and important surfaces in the body. Golden Seal can also be a particularly potent medicine for liver congestion and I often think of using it with someone when they have such signs as a heavy, coated tongue, a languid or sluggish pulse, excess debris in their blood plasma and symptoms of mucus congestion. Anyone reading this that is studying herbal medicine or, for their own personal reasons, wants to get to know this potent plant ally much more deeply, is warmly recommended to take a few drops of the tincture of Golden Seal, hold them in the mouth for a few moments and then swallow and observe what happens next. If you do this with a quiet and attentive mind, I am sure you will get a palpable experience of the herb that will do more to help you to truly understand it than any amount of abstract and academic learning. 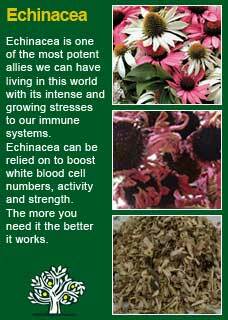 This is a herb that does things in the body and keeps doing them long after you have been introduced! 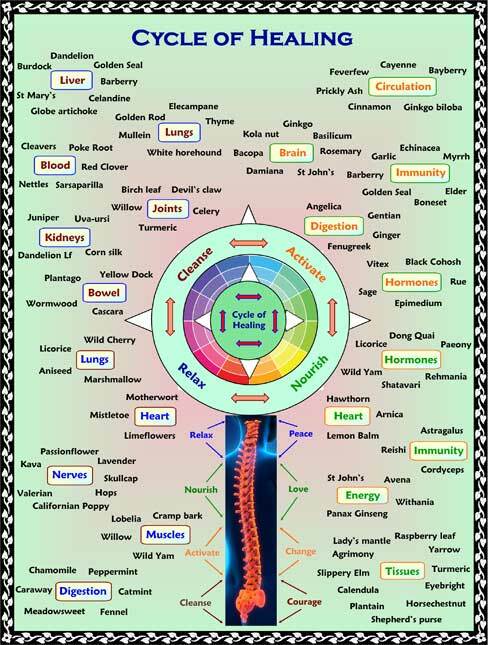 Cleansing, activating, penetrating, uplifting... these are the kind of words that have come to me and fellow students or colleagues with whom I have made the same experiment, but the words are only guides; try for yourself and see what you feel. Golden Seal is a wonderfully strong, cleansing and energetic medicine and really only small amounts are required for excellent results. For most people this equates to not more than 1 or 2 mls of the tincture in a day. 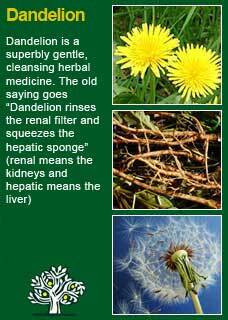 Golden Seal works particularly well with Dandelion and/or Celandine to treat and cleanse the liver and it combines perfectly with Myyrh and Echinacea to treat resistant bacterial or fungal infections on the skin or the mucus membranes. Much of the information here about the traditional uses of Golden Seal is consistent with the model of thinking whereby one may treat problem A with plant B.